Our waiter was clearly worried. He guided us to a table with a view out onto the Campo, jabbed menus into our hands and headed back to confer with the indoor waiter. 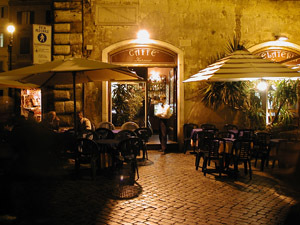 Standing nervously at the arched doorway, he leveled a severe look on a group of Italian tourists drinking from paper cups at one of his tables nearby. Tonight, free wine was flowing, doled out from a barrel set on a rough cart some 50 feet away. The waiter’s thin mustache twitched. A hundred lights teased the contours on the buildings around the square: windowsills, awnings, crags and crenellations that had stood here since the 1500’s. Above the shimmering pavement humanity loomed and swirled, pushing up to the statue of Giordano Bruno, where sound equipment was being tested – Uno, due, tres – in odd counterpoint to the medieval setting. The same crisp October air that made the Italians huddle into their jackets and sweaters was a tonic to our jetlag, and we breathed it in deeply. Our waiter brought us tall flutes of prosecco on the house, setting them before us with a flourish as the first poet took her place. While the poet carefully described in English a window (in England? In Italy? I never could tell), my wife and I looked over glasses of pale bubbly and toasted our escape. By turns meek and mild – and then emotional and angry – the poets came and went, and with them went the free wine. The waiter relaxed and we did too, sinking ever more deeply into the Italian moment. We lingered over dinner, taking it all in. The crowning glory was the pizza. ‘Il megliore,’ the waiter said, putting it before me. ‘Prosciutto con funghi porcini,’ he announced. ‘The best!’ He gazed down on it with affection, and bore himself up to full, white-shirted Roman stiffness. I bit into the pizza’s tender depths and had to agree. The salt of the meat, the sweet zing of the tomato, the earthy goodness that only rich mushrooms can evoke, and the splash of good olive oil blended in perfection with the near-crispiness of the oven-fresh crust. And just a little cheese – not so much to mask the flavors. 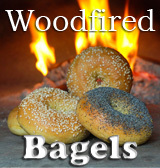 Behind it, the smoky aroma from the woodfired oven cast its spell. The Salad Queen grinned catlike over her own pizza with half-closed eyes. She raised her glass and we clinked across the table. To us, we said, as the rhythm of the Campo dei Fiori pulsed around us. We nestled in to enjoy it. This is the life, we said – indeed! Make the dough: In a large ceramic bowl dry mix flour, salt and yeast. With the handle of a wooden spoon, stir in the warm water and make a soft dough. Gather and scrape the dough together into a ball, put onto a lightly flour surface, cover with the bowl, and let sit for 20 minutes. Now knead vigorously for 10 minutes, using as little additional flour as possible to keep dough from sticking. Let rest, covered, for 4 hours at room temperature before shaping pizza rounds. For baking in a woodfired oven: To make this in true Roman style, the base of the oven has to be very hot in order to get a nice crispy crust on your pizza. 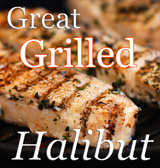 Start the fire 2 ½ hours before hand, and build up a mature fire and a nice bed of coals in the center of the oven. Half an hour before baking, put several 2-inch thick sticks on the fire and, when they’re flaming, create a horseshoe of fire and coals at the back and sides. Feed additional pieces of wood in at the sides when necessary. The oven is ready when all the ash on the inside walls is white. For baking in a conventional oven: Place rack in the center of the oven, and either line it with quarry tiles or use a pizza stone (See ‘Baking on Quarry Tiles’). Preheat oven to 475º for at least 30 minutes. 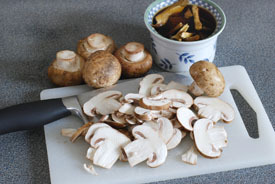 Make the mushroom medley: Put the dried mushrooms into a ramekin or small bowl, and pour ½ cup boiling water over them. Use a bit more water if the top pieces aren’t swimming; let sit 20 minutes, stirring several times. Coat the bottom of a 1 quart saucepan with a teaspoon of olive oil, add the sliced cremini mushroom, top with a sprinkle of salt and pepper, and let sauté for 5 minutes over low heat, stirring once. Add the reconstituted porcini and the liquid to the cremini mushrooms, and simmer for a further 5 minutes. Remove the mushrooms to a bowl, leaving the liquid in the pan. Reduce the liquid down to a quarter cup or less to yield a rich, condensed mushroom broth. • Form 2 balls of dough, 9 ounces each, into flat pancakes on a lightly floured counter. Gradually spread out to 12” pizza blanks, letting rest as necessary under a cloth to let the gluten relax during the process. Put the pizza blanks onto wooden peels dusted with flour and make sure they can ‘slip’. For best results, let rest for 10 minutes before topping. • Add 1 tablespoon of the mushroom broth to the tomato sauce and set aside. • Tear or cut prosciutto into 2-inch pieces, separating the slices as you go. • Drizzle olive oil on the pizza blanks and swirl with the back of a spoon, leaving an inch uncovered around the edge. 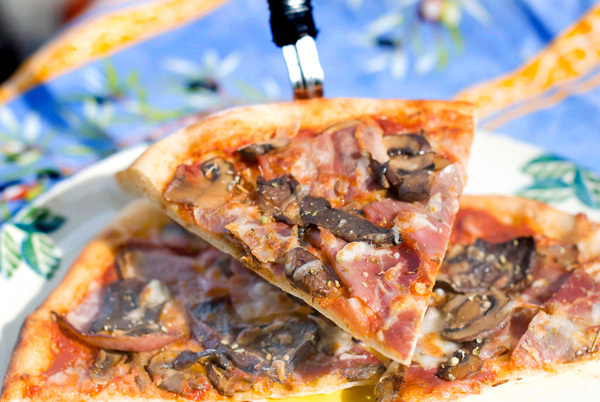 • Top each pizza with tomato sauce, prosciutto, the mushrooms (not the broth) and the cheese. Sprinkle on oregano before baking. To bake in a woodfired oven: The pizzas will bake in 4 or 5 minutes. Brush ash from the oven and slip pizzas (one at a time) onto the center. Turn pizzas around once during baking and remove to pans. To bake in a conventional oven: Turn your preheated oven down to 450º. Bake one at a time directly on the quarry tiles. The pizzas will bake in 7 or 8 minutes. Turn pizzas around halfway through with a metal peel or two spatulas and, when baked, remove to pans. Do not use the convection fan or your pizza will dry out. To finish, drizzle pizzas with two teaspoons each of mushroom broth and olive oil. Serve with a green salad and some nice red wine. (Personally, I’d recommend the house wine. The wine flowing from that cask may be free, but it’s very fresh wine, and surely comes with a complimentary hangover as well!) Buon appetito! Mushroom note: In a perfect world, we’d all be making these pizzas with top-quality porcini mushrooms (also called cepes, king bolete and boletus edulis). If you have a source or can afford them, use fancy dried mushrooms and double the quantity; for a real treat use fresh porcini. For reasons of economy, I’ve used second quality porcini (which means smaller bits and broken pieces) and infused their flavor into cremini mushrooms. The result is every bit as flavorful, at a fraction of the cost. Enjoy! Great post — you brought Italy to all of my senses…and the pizza – yum! This is another great pizza. It looks wonderful. I really need to convince my husband that a Woodfired Oven is a great investment. 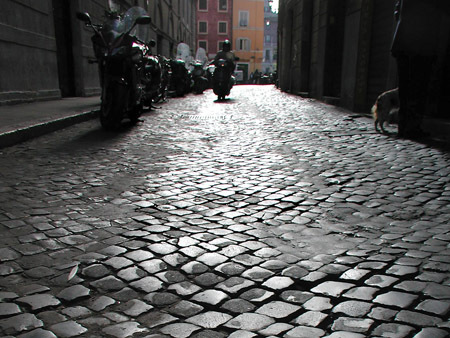 Love the picture of the Via Pellegrino. Also loved reading your article on building a wood fire oven. We are in the remodeling stage and decided to put the pizza oven outdoors. I think I’m going to check out that California link. Great blog. Saluté !! Ooo I wish I could transport myself into those photos! The pizza looks delicious! This pizza looks so good! Gorgeous, enticing pizza. Going to Italy next year. You must tell me where to eat! Wow, that pizza looks fabulous. Also enjoyed your writing on Rome. Very vivid! The absolute best pizza I have ever had in my life was in Rome! Look at yours is taking me back to that experience.. mmm, I am salivating!!! I love porcini – this is a must-try for my summer suppers. This pizza looks amazing. I wish I could reach into the computer and grab a slice. What a great way to let quality ingredients shine. Beauuuuuutiful pizza. A slice with a glass of prosecco? Yes, please. Great pizza, but I think I might have to travel to Rome to experience it properly! I don’t know whether to bolt for your backyard or buy a ticket to Rome immediately, but I’m sure motivated to do both! Oh the stories behind food. You can’t imagine how delicious sounds this pizza to me right now! Sounds and looks like an amazing experience, thanks for sharing the recipe also. Congratulations on another Foodbuzz Top 9! This pizza looks amazing! Ohh, pizza + Rome it can’t go wrong. Mm. Oh what beautiful words you write Don! And the pizza looks amazing!! Any tips when using fresh mushrooms? I think we’re going to make a pie with ricotta, garlic, fresh heirloom tomatoes and butter boletes!